Alaska Airlines passengers in the main cabin will now have a much better meal choice as the airline has started to roll out a new seasonally-inspired food and beverage menu that has been based on research and feedback from guests, the airline says the menu includes local ingredients paired with West Coast staples such as artichokes, tomatoes, asparagus, berries, avocados, artisan breads and cage-free eggs. Passengers in the main cabin will also be able to sample a rotating selection of craft beers and an an elevated wine program. "We believe in offering our guests locally-inspired food options made with fresh and healthy ingredients," said Sangita Woerner, vice president of marketing at Alaska Airlines. "By drawing inspiration from the Pacific Northwest and California, we're building a consistent experience for guests across our fleet that brings to life our West Coast vibe." New Main Cabin menu items are available for pre-order via the Alaska Airlines mobile app starting today, so guests can ensure their meal of choice will be reserved on their next flight. Currently, the pre-order feature is available on all Boeing aircraft and will be coming to the Airbus and Embraer aircraft in early 2019. Fresh Start Protein Platter includes Greek yogurt, almonds, seasonal fruit, Beecher's Flagship Cheese, a cage-free hard-boiled egg, pita and non-GMO turkey. 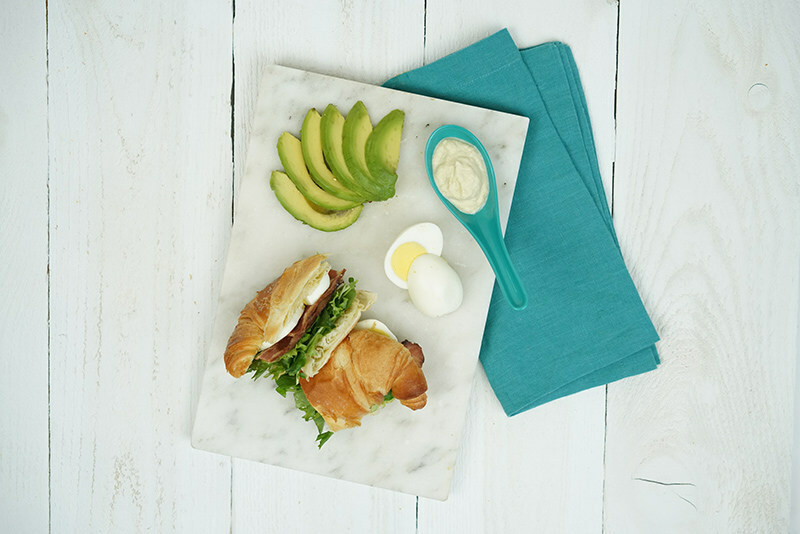 Croissant Sandwich includes Applewood smoked bacon, cage-free hard-boiled eggs, greens and avocado mayo. Turkey Artichoke Baguette features tasty turkey on a baguette with artichoke spread and avocado mayo. 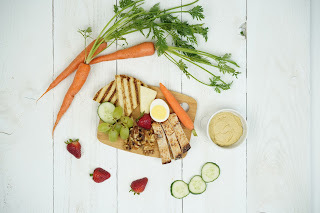 Charge Up Protein Platter includes hummus, pita, Beecher's Flagship Cheese, all-natural grilled chicken, walnuts, a cage-free hard-boiled egg and seasonal fruit. West Coast Cobb Salad is comprised of mixed greens, rotisserie chicken, grilled asparagus, Applewood smoked bacon, crumbled Beecher's Flagship cheese, avocado, grape tomatoes and a bright lemon basil vinaigrette. Available on coast-to-coast and Hawaii flights only. Signature Fruit and Cheese Platter this guest favourite is being upgraded with an additional cracker, to optimize the cheese-to-cracker ratio, a top request of fliers. It features two wedges of hand-cut Beecher's Flagship Cheese, crafted in the heart of Seattle's Pike Place Market, along with two wedges of classic Tillamook sharp cheddar, and a slice of creamy Brie. Perfectly paired with five crisp Partners crackers, apples, grapes, and a decadent Seattle Chocolate truffle. Passengers can sip the best from up-and-coming West Coast breweries, it was introduced on the 16th July and beginning in the fall, a reimagined winemaker program will introduce guests to unique selections that regularly rotate. The seat back menu card will now feature IBUs (International Bitterness Units) with an explanation to help guests decide which beer to choose.